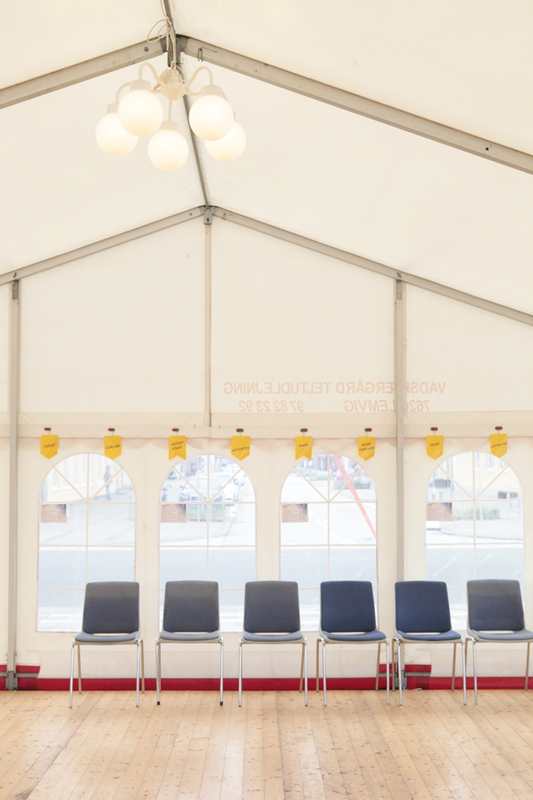 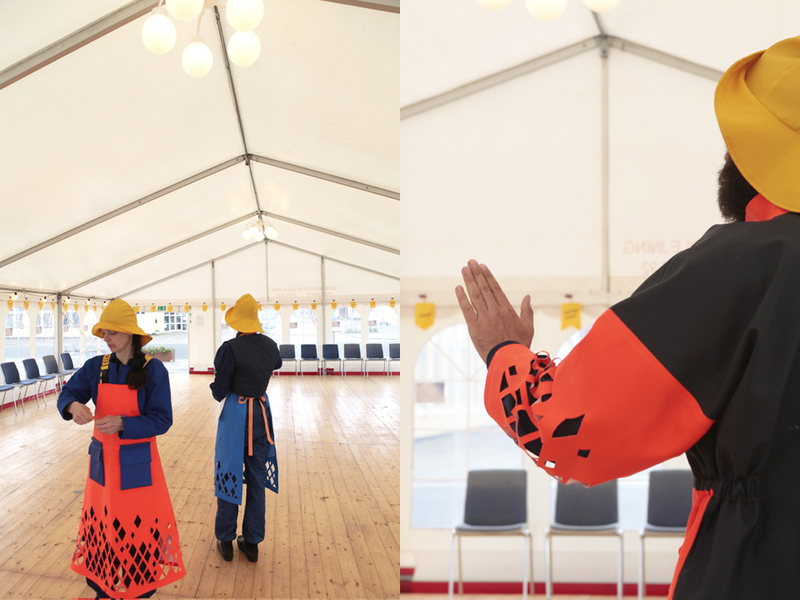 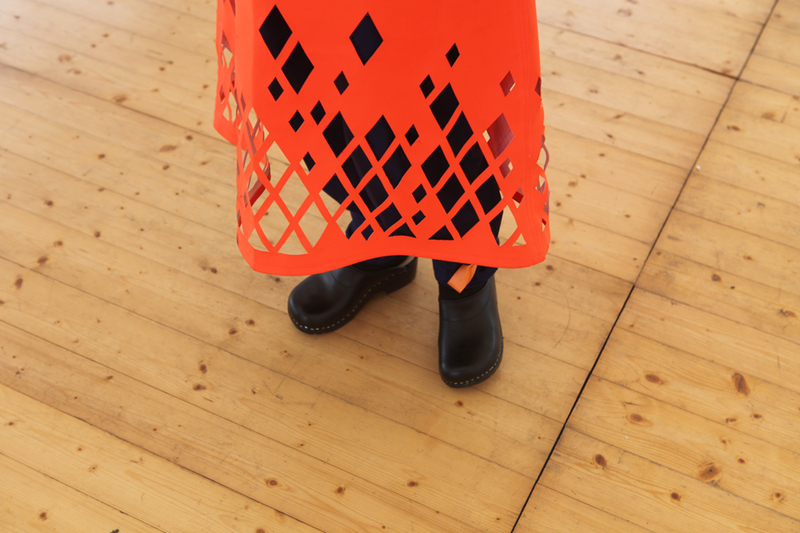 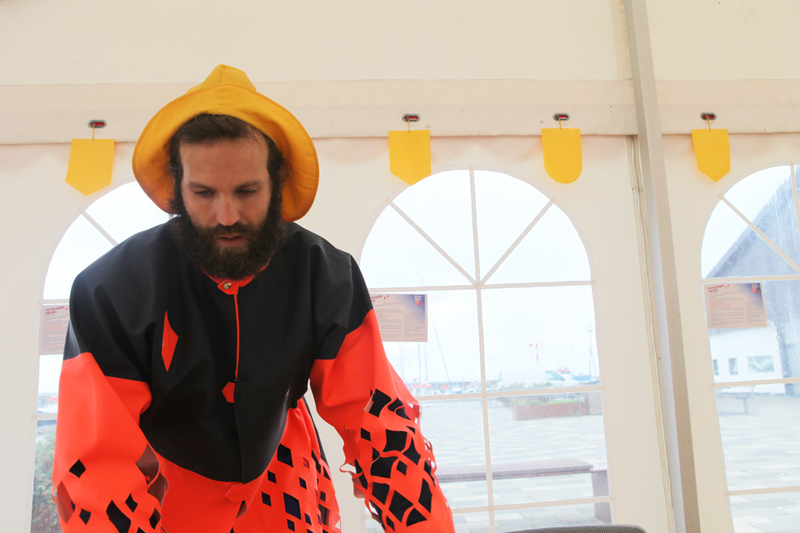 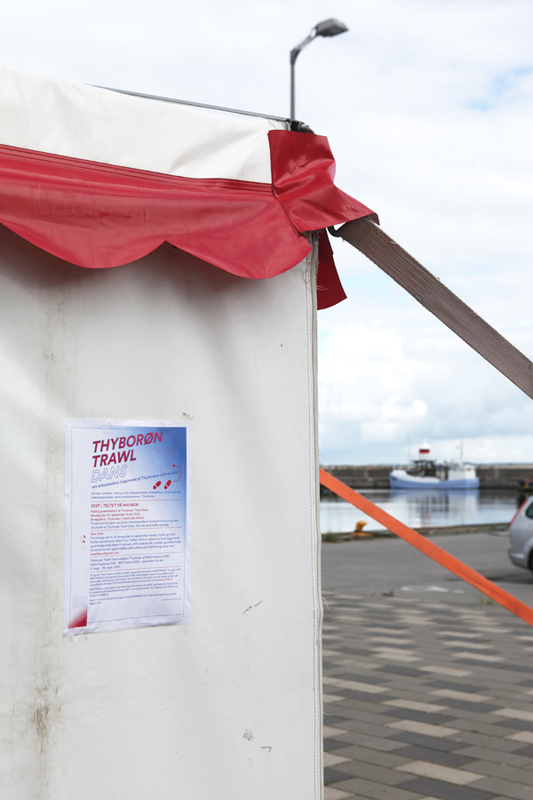 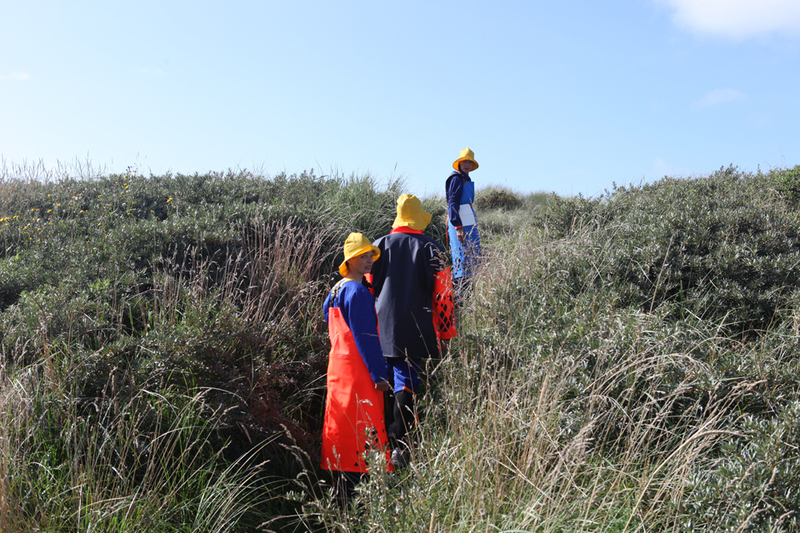 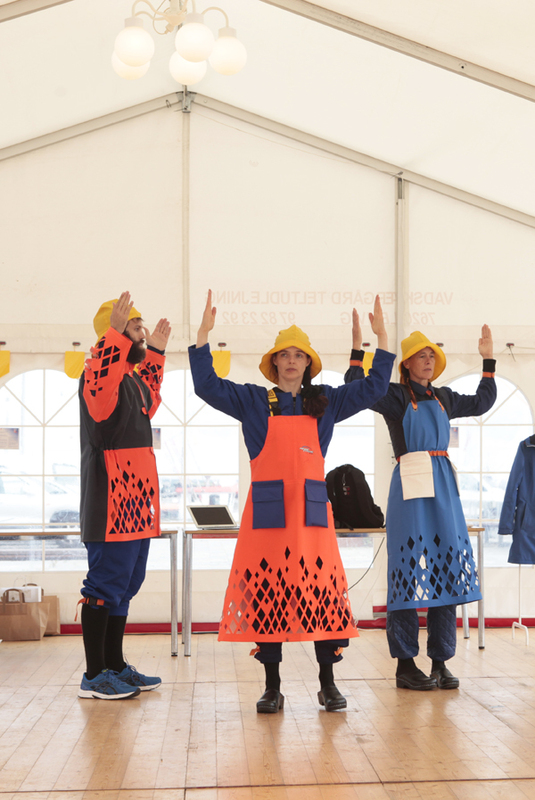 Costumes for the performance, taking place in Thyborøn on September 10th 2017, in association with the video and performance festival MEETINGS. 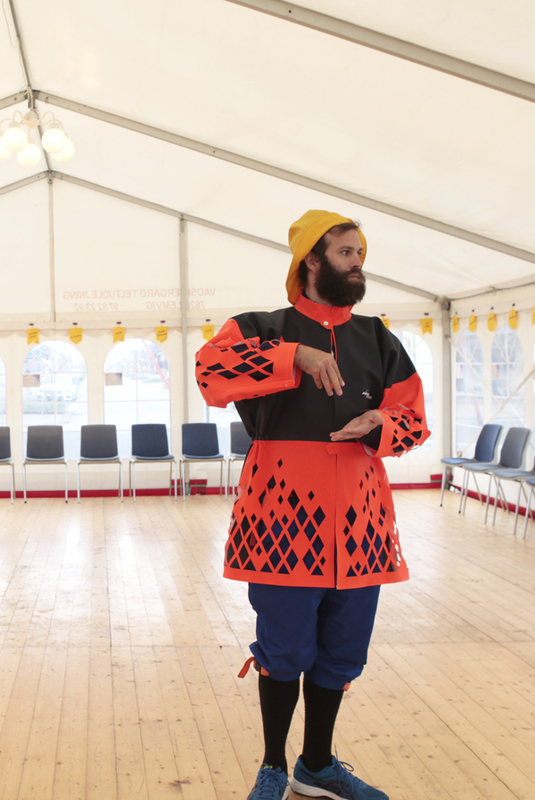 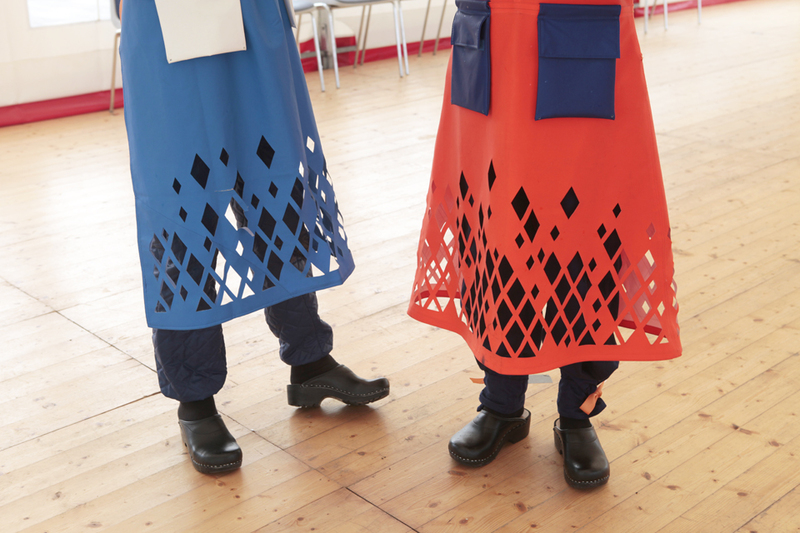 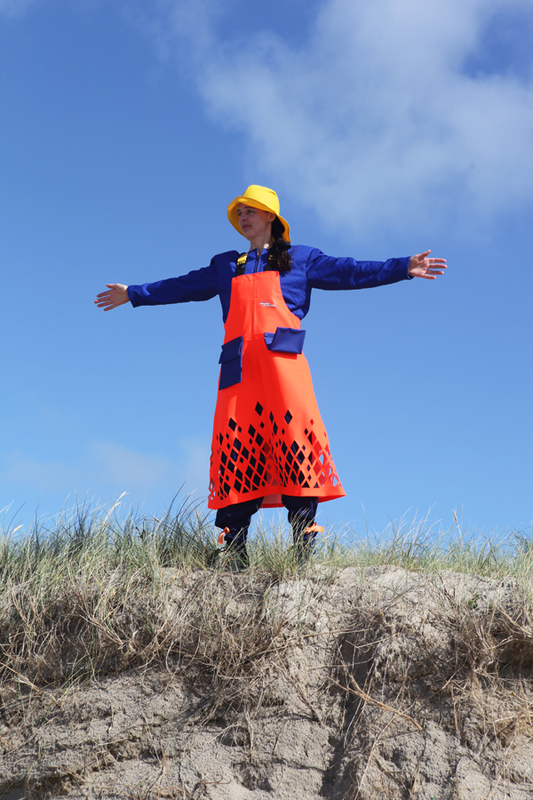 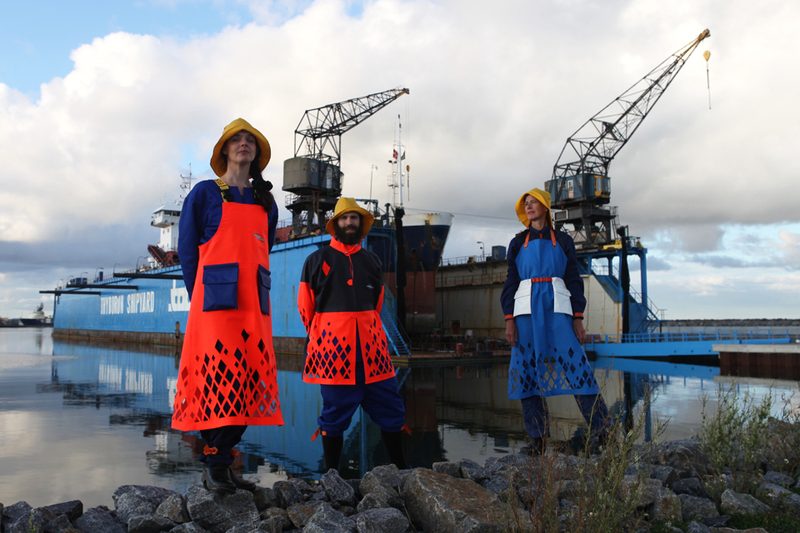 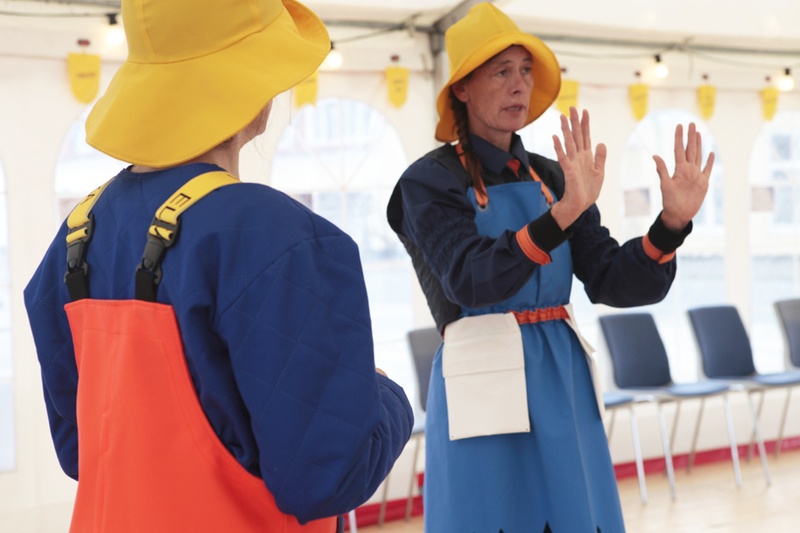 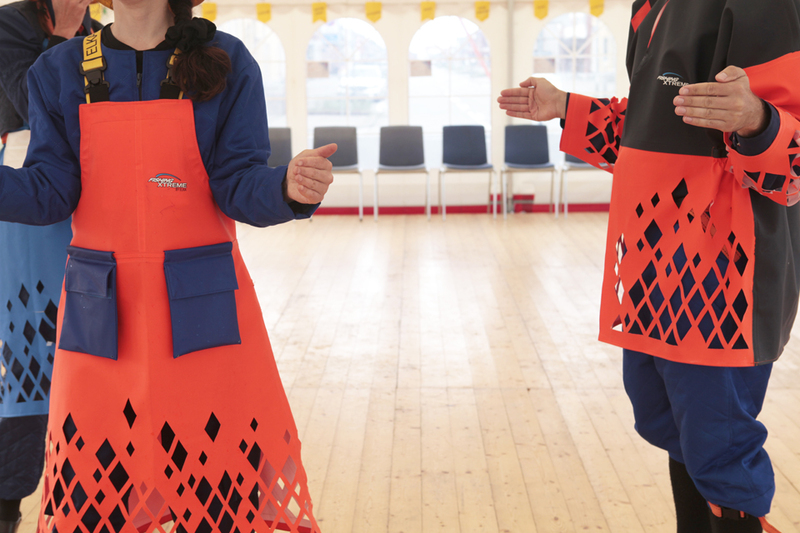 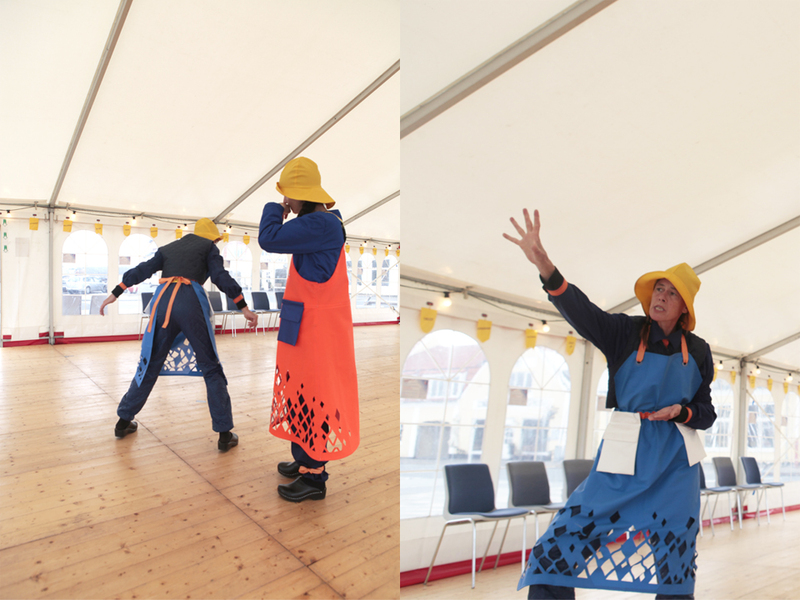 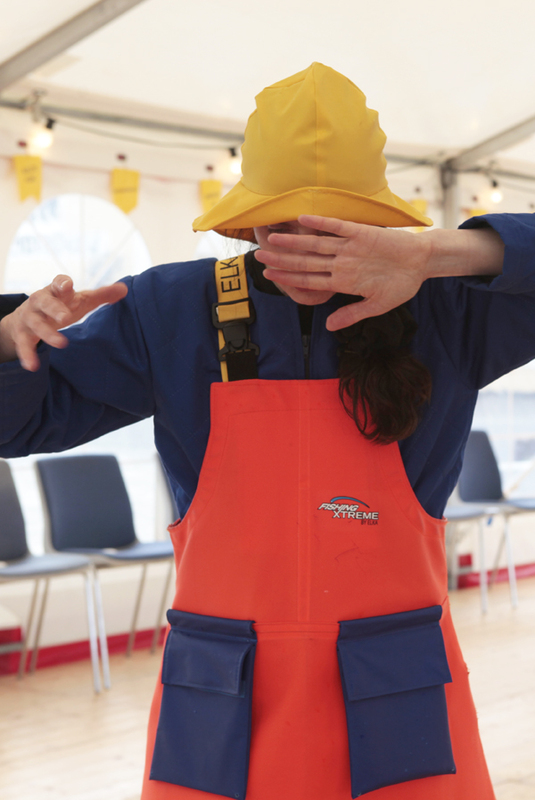 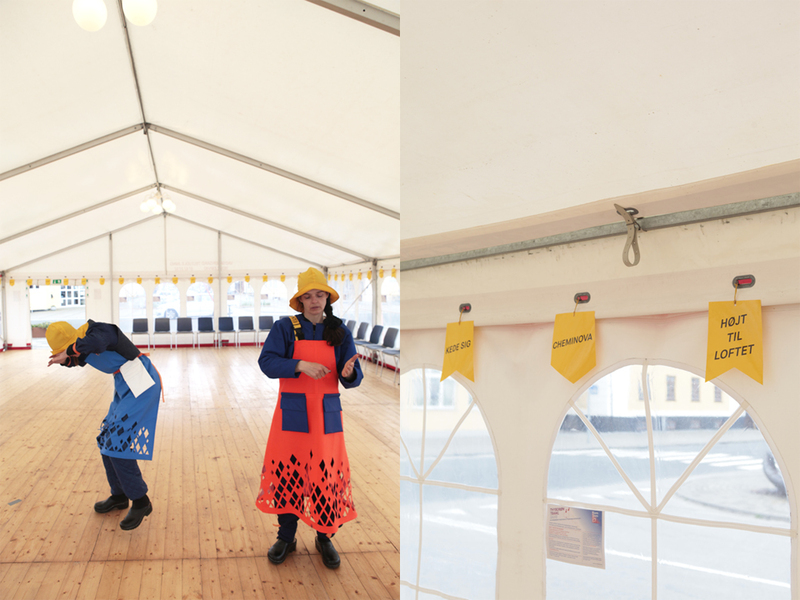 The artists Molly Haslund (DK), Will Owen (US) and Helle Fuglsang (DK) developed a new folk dance based on manual movements and village life developed in dialogue with local workplaces, schools, associations and stakeholders, as well as individuals in the fishing village of Thyborøn. 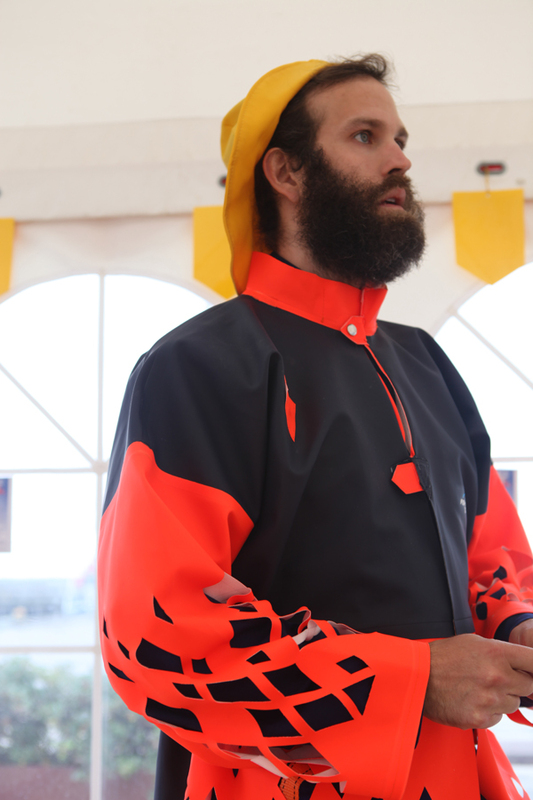 THE PROJECT WAS KINDLY SPONSORED BY ELKA RAINWEAR.